Calling out all mermaids and mermans! A new fish is swimming into town! 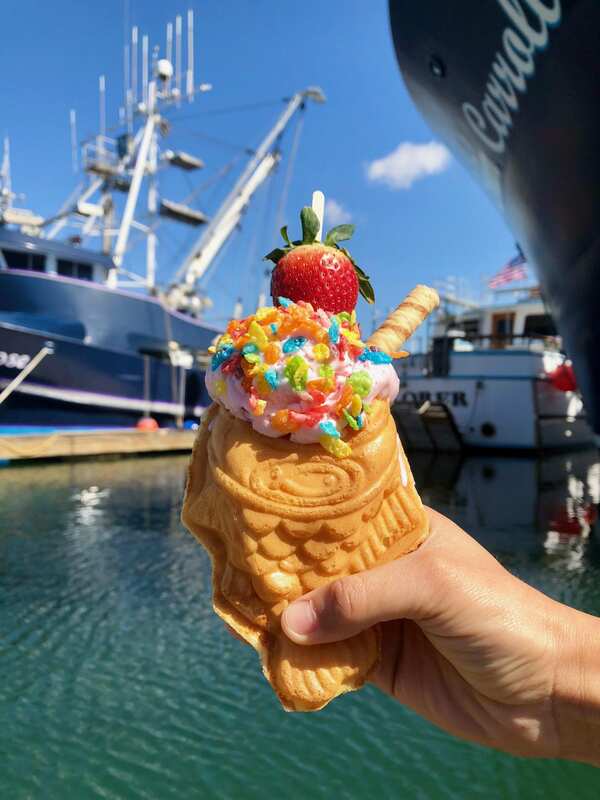 Coastal Cone is kicking off its 35th Anniversary and Mermaid Month with Taiyaki, a unique and tasty fish-shaped waffle cone?! With this sweet handcrafted dessert, you will be able to choose from 40 different ice cream or soft serve flavors, a yummy filling such as strawberry tart or nutella, and top it off with your favorite toppings! Saturday, March 3 starting at 11 AM – First 100 kids(12 & under) to purchase a Taiyaki Fish Conegets a chance to “Fish” for a Prize at the Ventura Harbor Village booth in front of Coastal Cone! Plus first 200 people to purchase a Taiyaki Fish Cone on March 3 get a fun vintage Miracle Fish Fortune Teller!